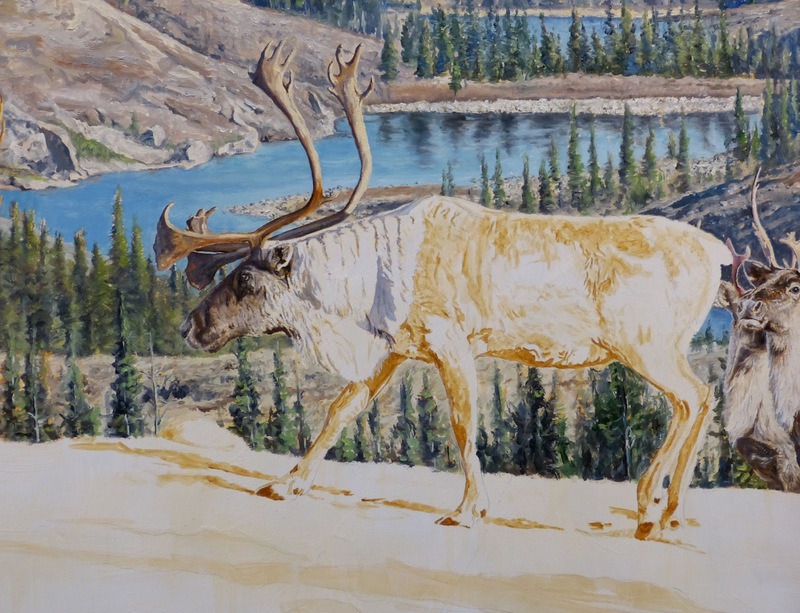 This week Linda Besse, SCI Foundation’s 2014 Conservation Artist of the Year, began painting the caribou in the piece. As you can see below she started with the groups of caribou on either side of the two bulls. Most of the individuals in these groups are caribou that Linda saw one day on her WREAF (Wilderness River Expedition Art Foundation) trip to Labrador in 2008. She details the experience she had photographing them in a recent post on her blog. The story she shares is a once in a life-time experience. And, it leaves no doubt, if you had any, that Linda is an adventurer. Linda has traveled around the globe to find inspiration for her art. To be precise, she has been to 33 countries, every US state, and all seven continents. She shares these inspiring moments in her art. But, no matter the place she is still “First for Wildlife” and works for conservation through her art and travels. 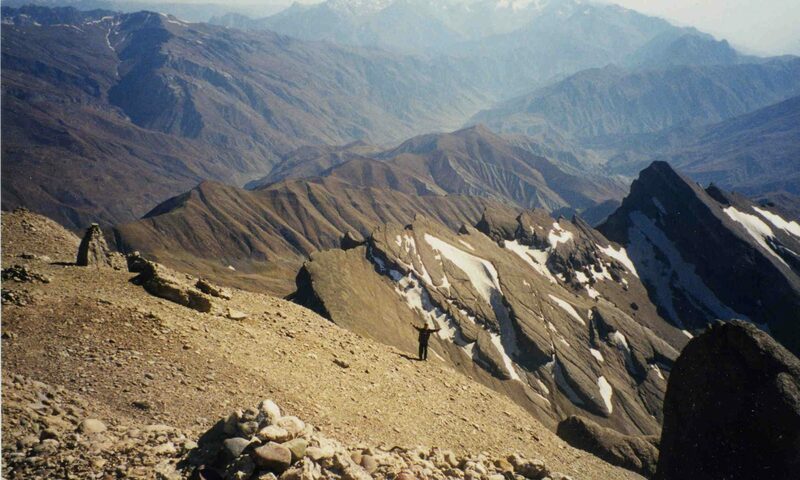 Not only has participated in WREAF, a nonprofit dedicated to providing artists with wild experiences, inspiration, and an outlet for public dialogue on conservation, but has supported projects with the International Snow Leopard Trust. Linda will be sharing more about her 2008 adventure in Labrador as she continues creating her artwork. Maybe the young bull has his own exciting tale to tell? Follow her blog to find out! Follow all the updates on Linda’s progress here, on her blog, and on the SCI Foundation website, as she continues to work on the piece. To find more information about the Conservation Artist of the Year award and past winners go to www.safariclubfoundation.org/artist/.